The T5Xi series riflescopes are the next generation of rugged, dependable optics from Steiner. Featuring an optical system that was engineered in Germany, yet proudly designed, machined and assembled in the USA. Three models offer the ultimate in precision, ruggedness and versatility. The compact 1-5x42mm offers true eyes-open 1x magnification for situational awareness and fast target acquisition. At 5x zoom, targets out to 750 meters can be accurately engaged. 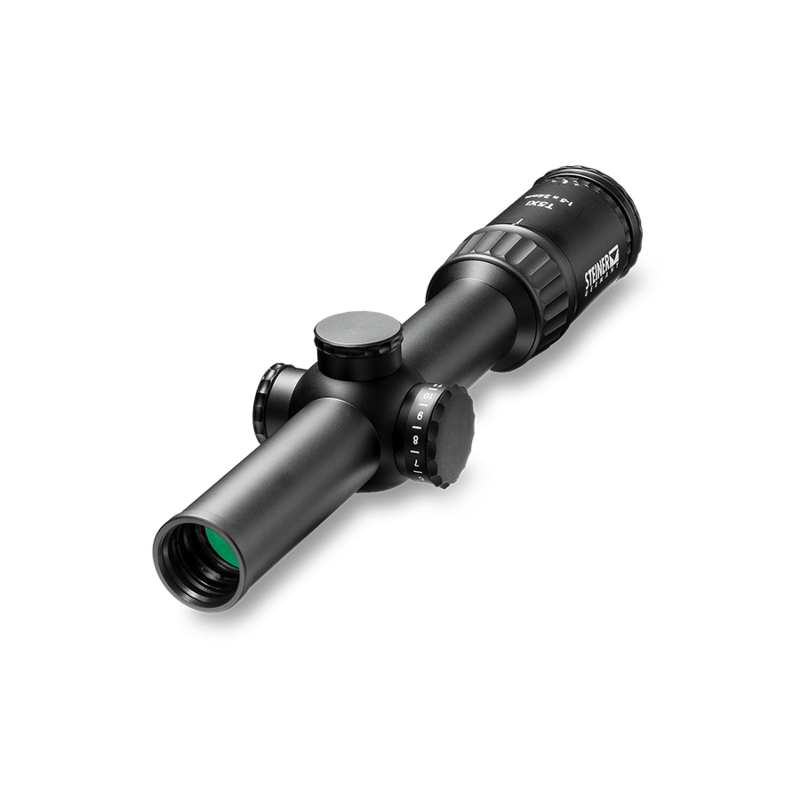 The T5Xi 1-5x24 is a close combat scope with 30mm tube. and a generous eye box throughout the magnification range eliminate the need to reposition your eye when changing magnification. with seven night and four day levels with an "OFF" positions each setting that completely disconnects the battery to prevent battery drain. that allows for quick, easy magnification changes. easily attach to a built-in lens cover adaptor. construction that will stand up to any cold or wet condition. Waterproof to depths of 10 meters (33 feet) and impact tested to 900 Gs on all optical and electronic components.